Ballet is an art. An art form that is so intense and consuming, that you lose yourself in the movement. Maybe that sounds crazy, but ballet has allowed me to find myself and what makes me...me. 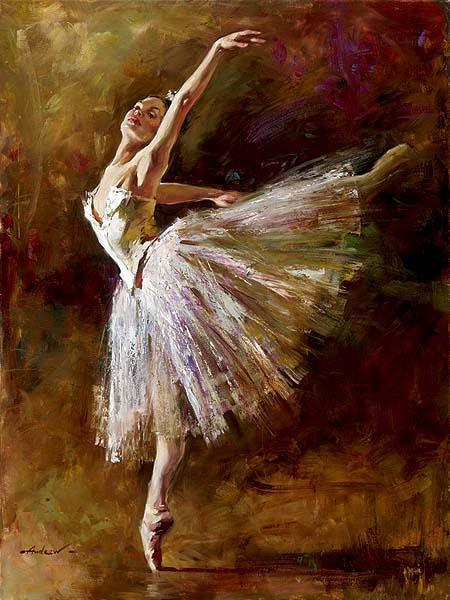 When I think of ballet, I think of the Russian ballerinas (they make it look as easy as breathing). When I think of Russians (not to be stereotypical), I think of very determined, serious, and dedicated dancers. Ballet is their way of life and that is how their ballet is... if you are part of that world you have to be able to do this, look like that, have this body, etc. The type of training in Russia is called Vaganova, named after a famous Russian dancer/teacher. While Russia was creating their own curriculum, so were the French and Italians. Trust me, their ballet was still very strict and serious, but it's training is based entirely around your audience. Now, I'm telling you all this because 1.) ballet history is very, very, interesting (at least, it is to me) and 2.) because this is where it all started for me and what my whole "ballet" world revolves around. At the age of four, when my mom made the brilliant decision to put me in dance, I did dance simply because it was fun. Now, I do dance because it is part of who I am. My love of ballet began when we got this new teacher who had high expectations, but also so much experience and insight on this art form. She pushed me to work my hardest, and saw the determination I had in me. She showed me my true passion for ballet. Since then, ballet has been my obsession; trying to perfect every step while reminding myself to enjoy every step. On my blog, I'm going to take you along throughout my life of dance, what projects I am currently a part of, auditions, time spent at my studio, Park City Dance, life on the stage, dietary necessities, and even the art of stage make-up - just to name a few. It's my life...my ballet life from Bun to Ballet Shoes.